My bathroom is starting to look like a store room for Boots at the moment, with tubes of every imaginable shower wash, body polish and toner lining every inch of once available space. I have no idea where 90% of it comes from but that doesn’t stop me from trying them all out! 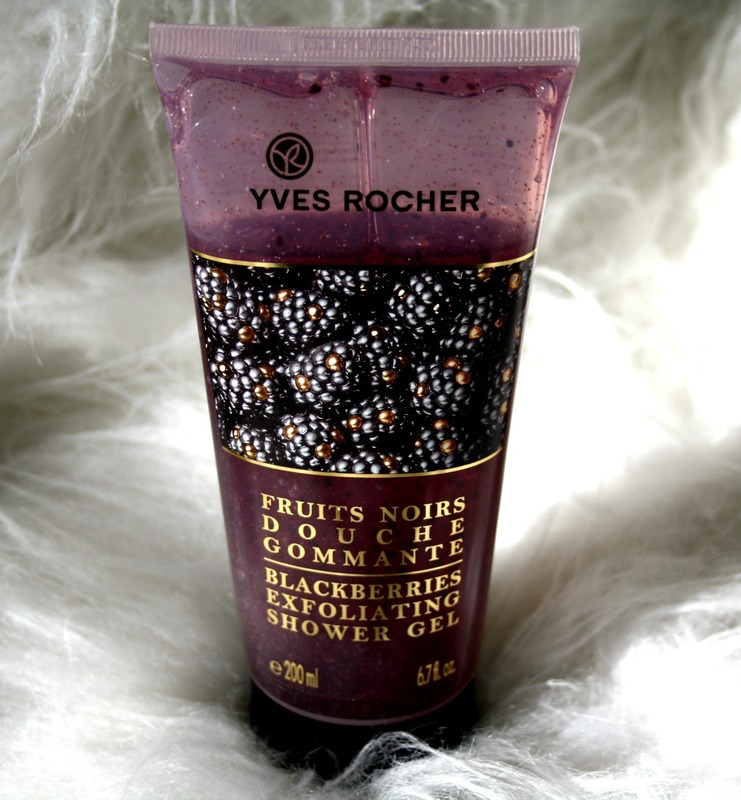 The Blackberries Exfoliating Shower Gel by Yves Rocher had been eyeing me up in the bath (if you actually thought something mildly rude, all I have to say is…..shame on you, shame….). Now I know that this is the second Yves Rocher post in a row, trust me the blog isn’t going to turn into some kind of love in, but this shower gel is one of those products that you just have to tell people about. I literally started to write this post up as soon as I had finished using it the first time. Not wanting to rush to judgement I have been using it ever since to get a more balanced view - I also committed the cardinal sin of not photographing it to within an inch of it’s expiry date before using it. 'The elegant pampering of an exfoliating shower gel, enriched with Kiwi seeds to gently scrub your skin. It’s formula, deliciously scented with Blackberries, contains organic Cornflour water. Paraben free, the chances of this drying out your skin are incredibly low from just looking at the ingredients. The fragrance is simply put of this world - it's like smearing yourself in blackberry jam, so sweet, it even has a jam like texture that is really easy to apply. To assist with exfoliation the shower gel uses Kiwi seeds, these are larger than blackberry seeds and stand out in the gel. While these seeds act as a fantastic exfoliant and they really do scrub off that dead skin to reveal a rosy glow. The only thing I would have liked to have seen is more seeds - it's a bit sparse on that front I'm afraid. Washing with the gel is a breeze although personally I have to remind myself that while it smells like jam and looks a bit like jam I shouldn't lick myself (weirdo alert). This does the job. It could do it better with more seeds added to the ingredients but even so the results are great. My skin does have that soft glow after using that you would expect after exfoliating large sections of your body and in addition to my skin feeling soft and hydrated it also smells amazing. If you throw into the mix the fact that the actual exfoliation is so gentle you would harder believe dead skin is being removed and you have a winner. The fragrance lingers on the skin for a good half an hour and after using this again on Friday I still detected hints of this coming off my arms and over a fairly potent aftershave while travelling on the underground. Heaven! After going from having never heard of Yves Rocher to stalking their website for new things to try I have to say in firmly converted. It's pretty difficult to get excited about a shower gel I know but this has everything. A slight tweak to the formula and you have an amazing product. As it stands it is just a bloody good product. I'm glad I tried it and have been using it ever since. Sounds great and I love that it uses Kiwi seeds in it. I really like the packaging too. Our bathroom always looks like a Boots storeroom this time of year, especially with having three girls in the house. We always get loads of smelly sets bought for us! I am not sure I would want my body wash to smell like jam! 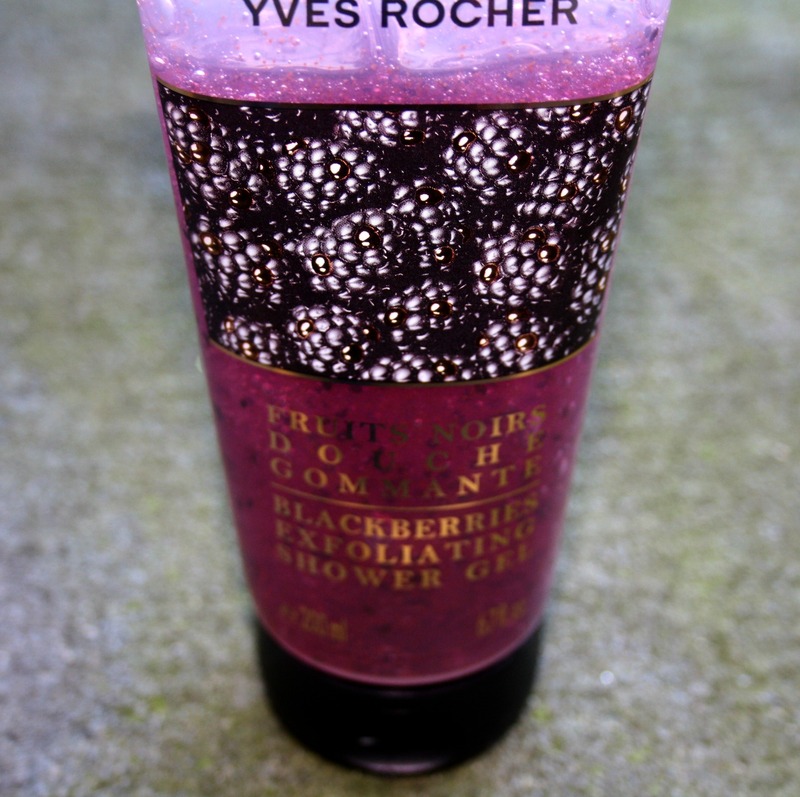 I love blackberries and I bet this smells lush! It sounds lovely, I'll look out for it and try not to eat it. 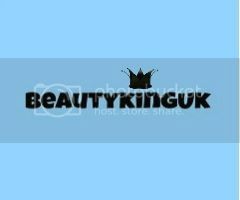 I love this brand, everything smells amazing. Sounds lovely although I maybe tempted to try to eat it. As a foodie - I am always picking up foodie shower gels and hand ash gels with hints of some fruit so I would love this jam like shower gel. This looks really good, can't believe how thick it looks!! My OH is a fan of natural smelling stuff, he usually opts for lemon scents, but can see him giving this a try. This looks gorgeous - will add to my wishlist to try when I get to the end of my 'Frugal February' spending ban. As someone who did actually lick my own arm after using Apple Tango shower gel (I was pregnant and craving fruity fizzy drinks at the time!) , this does actually look amazing!! oh I bet this smells amazing!! I'm always on the lookout for new exfoliator scrubs and this looks great! Is the smell/texture not a little overpowering for a male scent? This sounds like a lovely smelling product. It also sounds like something you could eat! I like the idea of having kiwi seeds in it for exfoliating. Never had a wash that smelled of blackberries, and like that it is a paraben free product. Will definitely keep an eye out for it! 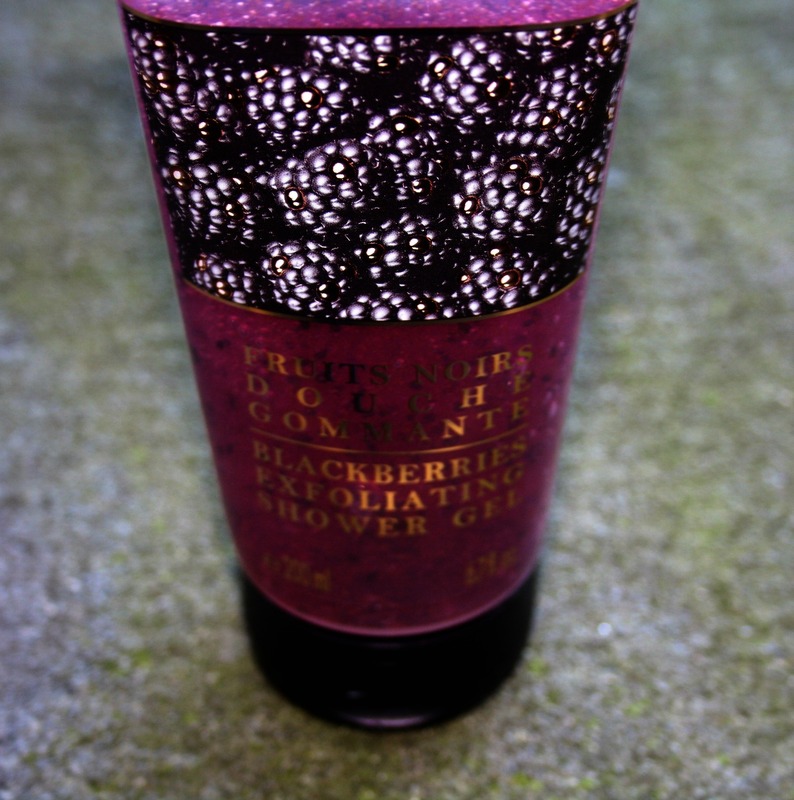 Oh a blackberry exfoliating mask! Lovely! This sounds amazing, I love the idea of the blackberry scent! "I literally started to write this post up as soon as I had finished using it the first time. Not wanting to rush to judgement I have been using it ever since to get a more balanced view - I also committed the cardinal sin of not photographing it to within an inch of it’s expiry date before using it". Happened to me a few times. I reviewed some Wilko bath products and I have literally replaced them 4 times now with my own money. Good products are worth holding onto. I love Yves Rocher products so much but have never tried this, definitely one to add onto my next order I think it sounds so nice!